Outside the hospitality industry, it’s not uncommon for Americans to use the terms ‘hotel’ and ‘motel’ interchangeably. But there are several key differences between the business models and customer experience. If you want to get into the hospitality sector then understanding these differences and what they mean for proprietors can help clarify your decision-making process. Hotels and motels nevertheless have much in common. While both hotels and motels tend to rent rooms by the night, some motels even offer daytime and hourly rentals. Other hotels and motels are pitched at long-term stays and may even offer weekly or monthly rates. Although there are myriad variations, the average hotel differs from the typical motel when it comes to the building and its layout. Hotels tend to be large, multi-story buildings containing many guest rooms lined up along internal hallways, all connected by elevators and stairwells. Motels are usually smaller, with rooms built around a central parking lot and connected by outdoor walkways rather than an interior hall. Rarely taller than one or two floors, they may not have elevators. These fundamental design differences stem from the fact that hotels are typically used for multi-night stays by a wide range of guests, from business people to families on vacation, while motels – or ‘motorists’ hotels’ – traditionally cater to motorists in need of an inexpensive overnight stay. Motels tend to offer fewer and more basic services and amenities. They’re unlikely to have a restaurant on the premises, which rules out breakfast, although coffee and cookies might be offered in the front office. While quite a few motels have a swimming pool available, it’s usually outside, making it a seasonal option in some parts of the country. You’re also unlikely to find a spa or fitness center. The motel staff generally includes just a manager, front desk clerk and a small housekeeping/maintenance staff (and the first two roles might be undertaken by the same person). A hotel, on the other hand, requires a large staff fulfilling a range of roles. But these aren’t hard and fast rules. Many hotels have opted for a no-frills approach to appeal to guests on a tighter budget. Likewise, upscale motels with hotel-like amenities also exist. An excellent example of the latter is the Ace Hotel and Swim Club in Palm Springs, California. Technically a motel (by design) this previously rundown roadside stop has been completely renovated inside and boasts the luxuries and amenities you’d expect from a four-star hotel. It should come as no shock that motels typically offer lower prices than hotels. 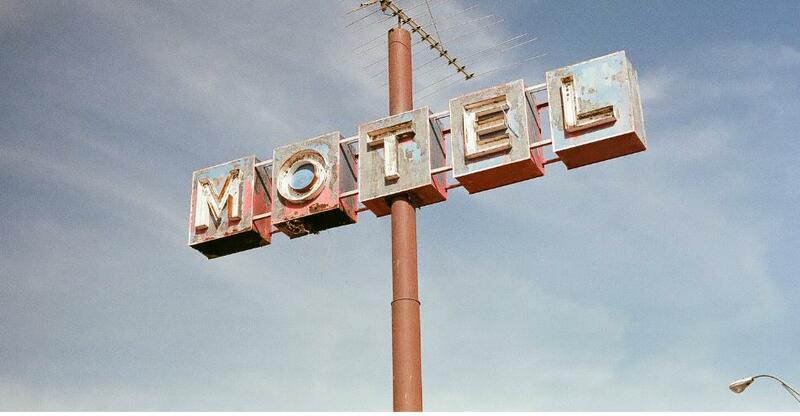 While motel nightly rates generally range between $30 and $80, staying fairly consistent across the country, hotel rates typically start at $100 and rise steeply based on location, proximity to tourist attractions and the quality of rooms, amenities and customer service. It’s not uncommon for luxury hotels in popular urban tourist locations like Boston or New York City to cost several hundred dollars, or even above one thousand dollars, per night. It’s just as easy to understand why a hotel is generally more expensive to buy than a motel. They have more floors, more rooms and more amenities and usually generate higher revenues. Motels still aren’t exactly cheap, with prices mostly in the hundreds of thousands of dollars and even into the millions. Nevertheless, if you can raise the finance, they generally offer a more realistic route into the hospitality industry for most entrepreneurs. Hotel owners tend to work in tandem with a group of investors and/or hotel chain (although franchised hotels offer another route). Which one should I opt for? If you’re considering buying a business in the hospitality industry, the differences highlighted in this article are just a jumping-off point for what will no doubt be a tremendous amount of research before you make a decision. To find out more about the differences between the two sectors – and how they often overlap – check out the hotels for sale and motels for sale sections.